Objects of veneration and great inspiration, these images and statues represent noble qualities that serve as a reminder for us to continue our search for the Truth and to follow in the Noble examples set by these great Teachers. 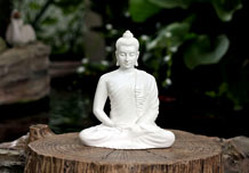 These images are frequently used as a focus for devotion and invoke deep peace of mind and serenity. 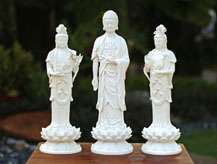 Click here to learn more about the significance of Buddhist images.